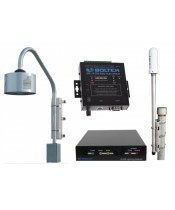 For complete short range detection, our hassle free kits provide all the necessary components to setup a lightning detection system and take the guess work out of selecting the appropriate accessories. 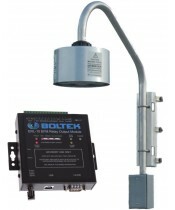 The Boltek kits come complete with everything to get you up and running right away without having to purchase any extra accessories. The EFM-100 kit comes complete with a high accuracy short range detector, inverted mounting hardware, cables and adapters. It is designed to provide a real time reading of the electrical field in the atmosphere with a time vs e-field graph displayed on a computer along with lightning strike distances accurate to within one mile. Connect to the Boltek Demo Field Mill to see live EFM-100 data operating near Niagara Falls. The ERL-10 Programmable Output Relay Module Kit comes complete with lightning detector(s), cables and inverted mounting hardware for the EFM-100. 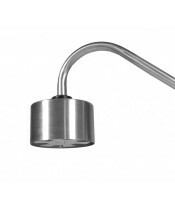 It is ideal for setups looking to connect external devices for either a visual or audible alert system. 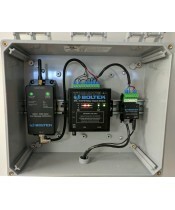 It can also be setup to connect to a PLC or datalogger. The ERL-10 output data by default is through a USB connection or a RS485 adapter can be connected easily for longer connections. A complete SMS alert package that sends text messages up to 500 phone numbers via a compatible GSM/GPRS/2G cellular service when lightning or high electric fields are detected within a range of up to 20 miles with the ERL-10 Kit 1, or up to 40 miles with the ERL-10 Kit 2. Three alarm programmable relay output module kit designed for use with the EFM-100 and the LD-250 for high accuracy short range detection, along with coincidence mode for virtually eliminating all false strikes. This kit comes with ERL-10, EFM-100, LD-250 and display software.